This year marks the fiftieth anniversary of the Krugerrand, the top-selling gold bullion coin in the world last year, with more than 1.1-million ounces sold. 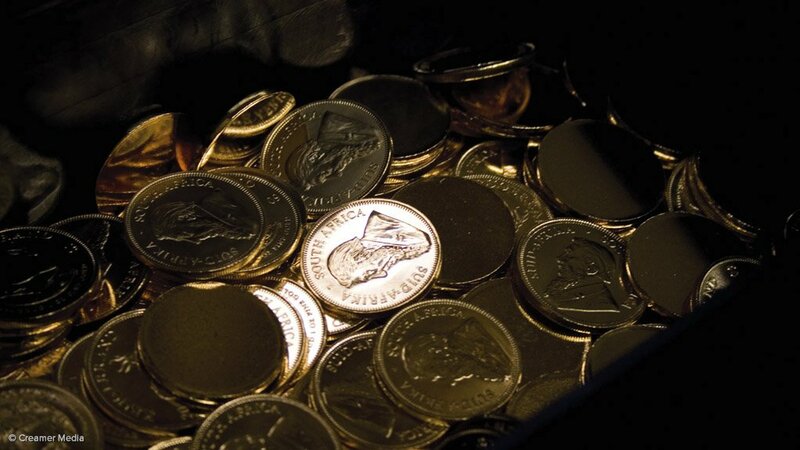 Precious metals refining and smelting complex Rand Refinery will be celebrating South Africa’s gold investment coin by highlighting its value to the South African domestic market. Rand Refinery marketing executive head Richard Collocott describes the Krugerrand as “the most prolific physical gold investment coin in the world”, which has been, and continues to be, a successful global investment product because it is consistent, reliable and globally recognised. Since its launch in 1967, more than 53-million ounces of gold in the form of Krugerrands and more than 60-million pieces have been sold. This year’s Krugerrand celebration will highlight the coin’s value to local and international investors. This endeavour started last month when Rand Refinery and the South African Mint were guests of honour at the World Money Fair, in Berlin, where South African Reserve Bank governor Lesetja Kganyago delivered a speech on the qualities of the Krugerrand. Rand Refinery will, moreover, launch a Krugerrand communication campaign during 2017 to further emphasise its value to local investors. Collocott highlights that the value of the Krugerrand has been further enhanced by the refinery’s commitment to upholding responsible and conflict-free gold standards. Rand Refinery, he says, was a global forerunner in the implementation of these standards, aligning its processes with the London Bullion Market Association’s (LBMA’s) Responsible Gold Guidance standard, and gold industry market development organisation the World Gold Council’s conflict-free gold standard since their introduction in 2012. Both standards were introduced to promote transparency and responsible practices in the industry, offering means of operationalising the Organisation for Economic Cooperation and Development’s due diligence guide, titled ‘Responsible Supply Chains for Minerals from Conflict-Affected and High-Risk Areas’. The conflict-free gold standard is based on internationally recognised benchmarks. It provides a common approach by which gold producers can assess and provide assurance that their gold has been extracted in a manner that does not cause, support or benefit unlawful armed conflict, contribute to serious human rights abuses or breach international humanitarian law in the regions where it is mined. The standard, together with supporting guidance materials for implementing companies and the practitioners they engage to report on their compliance, was developed through an intensive consultation process involving governments, civil society and supply chain participants. Evidence of an extractive company’s conformance with the standard is useful to the participants in the chain of custody, which are usually refiners or investors and other capital providers. Governments, local communities, local and international civil society organisations, law enforcement agencies, donor governments and development agencies are also beneficiaries of the introduction of the standards, as the risk that a country’s natural resources can be used against the interests of its people is reduced. In addition, the conflict-free gold standard supports refiners in meeting their due diligence requirements, as extractive companies that conform with the standard will issue a management statement of conformance. This statement can be used by refiners as evidence of compliance with the LBMA’s Responsible Gold Guidance standard. Collocott explains that this standard, in turn, is highly relevant to downstream gold consumers, who take a supplier’s compliance into consideration when evaluating the gold they are buying. He highlights that, while compliance with these standards is not required by law, they have become generally accepted guidelines for global best practice. Rand Refinery, the largest gold refinery in Africa and the only LBMA-accredited refinery on the continent, sources and refines almost all the gold mined in South Africa, as well as a substantial amount mined in other African countries, into saleable products. With the adoption of the LBMA’s Responsible Gold Guidance, Collocott highlights that Rand Refinery continues to be extremely selective about the gold producers it works with, pointing out that the company adheres to robust in-house processes regarding customer acceptance. These processes include site visits and the use of ongoing reporting and monitoring systems to ensure that gold sources meet the conflict-free standard. 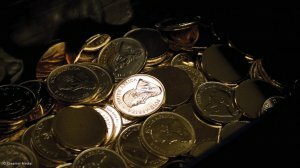 “All gold used to manufacture the Krugerrand is, thus, responsibly sourced and verified by independent auditors, making it acceptable in the global market. With the Krugerrand, we are, thus, able to use locally sourced gold and beneficiate it to deliver a truly South African product responsibly, with proper controls to ensure that we can sell our product in international markets. 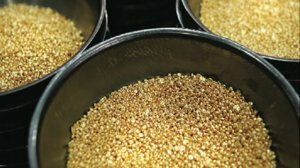 “We can also continue doing so, should legislation on the responsible sourcing of gold be implemented in South Africa and abroad in the future,” Collocott concludes.